When Sonequa Martin-Green was cast on Star Trek: Discovery, the official line was she would continue to have a role on The Walking Dead. That didn't last too long - her character, Sasha, was killed only a few months later. Now another of the show's principal actors has signed on for a pilot of a potential new television series. And while this person's character is still alive on The Walking Dead, this casting could very well spell doom. We don't know for sure that this character will be killed off, but just in case, we've kept their name out of this for now. Below, we'll explain who it is and what it could mean. The Hollywood Reporter says that Lauren Cohan, yes Maggie herself, has just been cast in a new ABC pilot called Whiskey Cavalier, an FBI drama also starring Scott Foley. According to the report, Cohan has been battling with AMC over her Walking Dead contract and doesn't have a deal in place to return for season nine yet. In response, she's been "actively looking for her next job and not trying to use the pilot casting process to force AMC's hand". Hence the acceptance of the new gig. But a pilot is just that. It's one episode with no guarantee of a series pickup or anything beyond. That means Cohan could do the pilot, it goes nowhere, and she comes back to The Walking Dead. She could film this show in The Walking Dead's off-season or even split time between the two. As far as we know, her fate isn't 100 per cent sealed. But it definitely isn't a good thing that she's joining another show. Especially since filming for the end of this season is almost certainly over, meaning Cohan knows where Maggie is by the end of season eight. At this juncture, Maggie is currently filling a pretty crucial role on The Walking Dead. With the show about to come back this week, she's basically second only to Rick in terms of leadership. Plus, she still has a baby to bring into the world. Taking her off the show wouldn't be impossible, but it wouldn't be ideal. 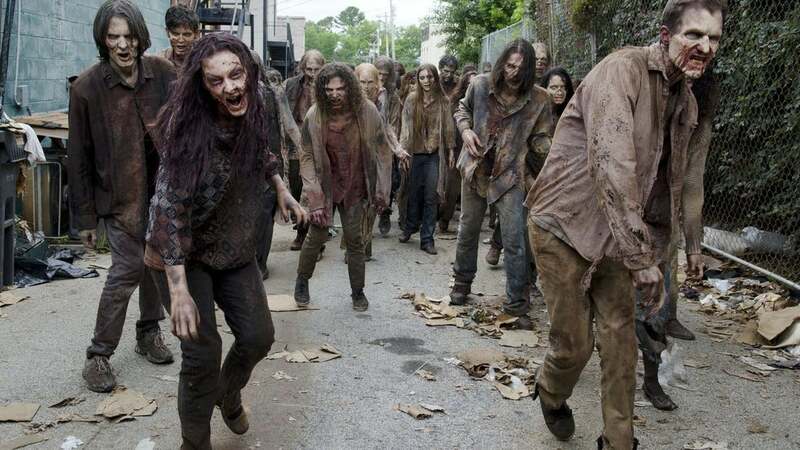 The Walking Dead comes back to finish its eighth season next Monday.